Sony who was once ‘the’ electronics brand has had it share of market slippage and some years ago felt it had to enter the mobile market in partnership with Ericsson. Scandinavia once the centre of mobiles, has in recent years, lost out to the awakening Far East manufacturers and changing consumer demand driven by the likes of Apple. The likes of Nokia and Sony Ericsson have struggled to keep up. Founded in 2001, Sony Ericsson only have some 2% of the global smartphone market with sales of 6.3 billion euros and now are clearly lagging behind others in the smartphone race. 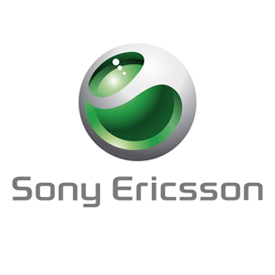 Sony Ericsson Xperia smartphones themselves accounted for 80% of its sales and these run on Google's Android operating system. Today Sony has thrown down the gauntlet and decided to buy full control Sony Ericsson for 1.1bn euros ($1.5bn; £964m), making it a wholly-owned subsidiary of Sony. Sony will also get the five sets of patents that cover the phones and a licensing agreement on any other intellectual property. The question is will it make a difference? They believe that the tighter integration with its TVs, tablets, PCs and the Sony PlayStation through its Consumer division will make the difference and also allow it to seamlessly connect smartphones, laptops, tablets and televisions online. The proposed technology integration and alignment with Sony’s entertainment content should be a good test. Sony’s integration strategy will still have to compete with Apple’s and its App Store, other Androids and the Google Marketplace , Google Motorola, the Nokia Windows 7 threat, Amazon’s Kindle media platform and much more. The UK OFT (Office of Fair Trading) has today cleared Amazon’s proposed acquisition UK Internet retailer The Book Depository. Many objections were submitted by the UK trade who were mindful of the growth of Amazon and the leverage that The Book Depository potentially gives it. Whilst the decision is sound today the merger does knock out a viable alternative to Amazon who has clearly demonstrate its ability to be both innovative and grow rapidly. The question now is who is the viable alternative and what levels of growth have they been able to achieve? Comparing a raising star to today’s market to many who are not exactly setting the world alight is valid but hardly fair trading. Amazon clearly made a wise move in buying The Book Depository and got it under the OFT radar on today’s measures. If we were to extrapolate the growth and sales to see position that The Book Depository may have achieved in the coming years without Amazon and the power that the consolidation could deliver then the decision may have been tighter. Just like they did some 13 years ago, some today are pointing to Amazon’s dip in profits and raising questions about further growth and returns. After all, accountants will often only see one goose and are unable to account in the books for the goose that lays the golden egg. The full ruling can be read on the OFT site. Another day and that great river Amazon keeps on flowing. Today three disjointed pieces of news demonstrate why Amazon continues to chart its own course and is a significant publishing force. First the fairly insignificant news that France Telecom Orange is co-developing its own ebook store as an alternative to Kindle. 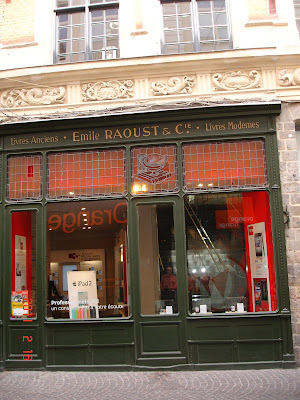 Orange intend to partner with rival French cellco SFR and the French Library Union and aim to develop a digital library. They believe that they can achieve their Kindle competing goals by a hosting a wider range of French titles than Amazon and will offer users the ability to pay via the mobile bill. Orange investment is claimed to be around €5m and although the French market may be seen by some as parochial, it is already getting crowded with Kobo teaming up with Fnac. We doubt Orange will make it to prize ceremony, but believe they will help raise the ebook profile in France. Forget the Orange 2011 winner,Téa Obreht and her debut novel, 'The Tiger's Wife', some would give the Fiction Prize to Orange itself. Whilst Kobo are setting their sights on France and the UK and Orange are planning to ‘tango’ the Kindle in France, Amazon is rumoured to be entering the Japanese e-book market and to set up an online e-book store this year. The rumour is supported by claims that Amazon is in contractual negotiations with publishers such as Shogakukan, Shueisha, Kodansha, Shinchosha and PHP Institute Inc is expected to provide about 1,000 digitized titles to Amazon. Japanese publishers have been reluctant to provide content to Amazon over concerns that the retailer will sell e-books at a discount. Although the Japanese e-book market in 2010 was estimated at only 65 billion yen ($846.9 million) the print book and magazine market is worth about 2 trillion yen. One could say the Amazon presents a clear replay of the US Black Ships that opened up Japanese trade. It is easy to see this as a clear strategic step for Amazon whilst others scrap and try to play catch up in easier markets. Finally Amazon has unveiled its next-generation file-format for Kindle books. 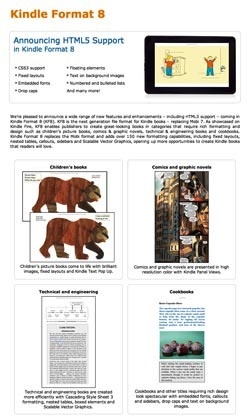 Kindle Format 8 (KF8) will replace Mobi 7, and it brings support for HTML5 and CSS3. Obviously this is not epub 3.1 and some would say is somewhat behind that standard, but it may be a significant and more timely route for many and better tuned to the market. KF8 will obviously enable publishers to create better-looking books with richer formatting, which could include fixed and floated elements, embedded fonts and drop-caps, text on background images, numbered and bulleted lists, and much more. Children’s books could now “set on Fire” with imagery, fixed layouts and pop-ups; comics and graphic novels could benefit from ‘Kindle Panel Views’; reference books could be made more attractive by superior diagrams and cookbooks and travel guides cold start to come to life. Some will say that isn’t enough, but it enables the Kindle Fire to display the enhanced ebooks in play today and if encourages more publishers to develop the content, then it may be a far smarter move than developing standards and expecting everyone to merely adopt them. Amazon’s KF8 formatting capabilities are outlined in full on its website. Amazon’s Kindle Fire tablet will be the first to support the KF8 with them predicting support on its latest generation of e-ink Kindles “in the coming months”, along with its free Kindle apps for other platforms. Finally, Amazon are planning enhancements to its Kindle Publisher Tools through KindleGen 2 which will create Kindle content from sources such as HTML, XHTML, and EPUB. This will be complimented by Kindle Previewer 2 which will provide publisher previews on how titles will look on Kindle devices and apps. The Amazon keeps flowing and appears to be still one step ahead in their planning and execution. Facebook: For Delete Read Archive? What do you say on social networks and who you connect to may be one thing, but does the information collected against you go much deeper? Importantly, if you delete it, is it in fact deleted, or stored against you forever? Many of us are careful how far we embrace the social network world, but does that apply to everyone? The data also included some email addresses and other information he claims not to have never uploaded to the site, but which he assumes were gathered from another user's profile. 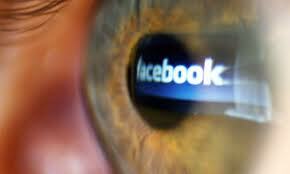 Some would suggest enables Facebook to build ‘shadow profiles’ for people who may not even use the site. Remember that even though you press delete, defriend, remove your data, it may never get cleared and could be stored for ever to be used in a manner you never intended. Facebook says any user can download their "personal archive" and probably many may now start to do so. There was a time not so long ago when Nokia could do no wrong and they dominated the mobile Market. However, today their market share continues to decline, they have just announced a loss in the third quarter of 151m euros (£132m) from a 322m-euro profit in the same period last year with a 38% drop of smartphone sales than the previous year. Net sales have fallen 13% to 9bn euros and shares have dropped 41% so far this year. A report by the research firm Gartner claims that in the second quarter Nokia accounted for just over 22% of the smartphone market. Having turned its back on the Symbian operating system in favour of its own Meebo system it refused to follow the Android route and now has pinned it flag firmly on Windows Phone 7. This may prove a stroke of fortune but is more likely down to the fact that its CEO Mr Elop came from Microsoft. So the question is whether Microsoft Phone 7 plus Nokia can complete in what is becoming a very narrow market? The Microsoft system has failed to get the real sales when it was offered by HTC and Samsung and without a wide base of manufacturers is unlikely to win on the back of Nokia’s loyal customer base alone. 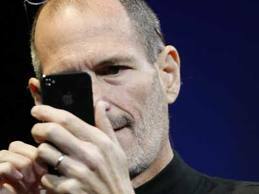 A very close coupling of the two old giants may still prove attractive but it may find itself as a single market offer against Apple , Android and RIM with little to really sustainable differentiation. Nokia's first device running Windows is expected to be launched in London next week. A New Era of Author Care? We live in a connected world where information can be instantly available at a click. However, information on book movement and sales has todate often been a dark secret and a source of frustration to a major stakeholder – the author. Today three major publishers have announced in the US that they would allow their authors to access book sales data directly online. Simon & Schuster have created an author portal, where authors and illustrators can check sales of their books, by format and merchant and including digital. Random House and the Hachette Book Group have also declared plans for their own portals for authors sales information. This in itself a significant break through and starts to make sales data transparent, embraces authors and is to be applauded. Some have suggested that the motive behind the initiative is to combat Amazon, which gives authors access to data on their titles from Nielsen BookScan and also allows them to check their sales ranking compared to other books on Amazon. If this is the case it should be accepted as a price to be paid for not acting earlier and making business with author transparent in the first place. The big question is whether this new wave of Author Care is to be consistently applied across all publishers, or remain as a tool by the big publishers to differentiate them from the smaller ones who will find it difficult to compete. As the creators are the ones who input the most it would be great if industry bodies such as the APA or AG could help facilitate a similar service for smaller publishers and their authors. There will always be issues re timing and accuracy of the feeds but as the likes of Bookscan have proved, there should be no reason in today’s world why information lines are so broken and inconsistent. Authors should only need to see actual sales to consumers, not the units shushing around in the market. Trying to explain sale or return movements to authors may prove a very interesting exercise and its not one that they need to understand today. However they will need to see special sales as units sold firm to intermediaries. Digital sales are different and should be instantly available, as in theory, they only leave the digital warehouse when sold. However the more these are with aggregators the more difficult this often becomes. This brings us to the next logical issue of royalties and whether this new era of transparency will lead to a long overdue open reporting on royalties and speeding up of payments? As more contracts adopt reward based on net sales the actual cost of sales and not price paid by the consumer becomes important. With respect to digital sales and the agency model there is little reason why monies earned should not straight forward and even transfered in the swipe of a card. We realise that may be too much to ask but it should not be too much to strive for. As many author advances and rewards shrink we must strive to look at ways to keep them better informed and pay them quicker. 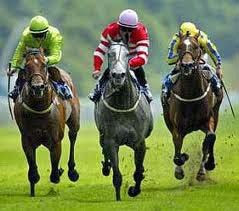 Can Kobo Win at the Races? Racing it’s not just about the horse, or the rider, the form book , the course and the conditions. The winners and losers are often decided by all these factors and more. Outsiders do win and favourites lose and that’s what makes the ‘sport of kings’ interesting. So can Kobo steel up on the inside track and get placed or do they remain an also ran? Kobo has announced, "the People's eReader" called VOX. It intends the VOX to compete head to head with the Barnes and Noble Nook and the Kindle Fire and in doing so attempt to capture the middle ground between a full blown and expensive tablet such as the iPad2 and the cheap eink lookie likies such as the Kindle, Sony reader etc. Vox will retail for $199.99 runs on Android 2.3 and weighs in at a low end 14.2 ounces. They also have the touch which is priced around $139 in the US, or £110 if you are unfortunate to have to buy it in the Uk. They also have the basic WiFi model at $99 in the US and the poor exchange rate of £89 in the UK. So they have a stable of horses but what about the riders. Kobo is as well know outside of North America, as it part time parent and book retailer Indigo. However, it has struck deals with WHSmiths for them to sell into the UK market and with Fnac to sell into the French Market. Looking at their web site they already have an impressive list of retailers Indigo in Canada, Walmart, Best Buy and others in the US, Angus Robinson and Borders in Australia (perhaps we should scratch that last entry). The franchise strategy is sound, but if it were a winner, one would have expected better market share results in the US, where they even ran the Borders ebook setup. Perhaps the strategy will work in more fragmented markets such as Europe. However remember Waterstones made a huge leap to the front with Sony, but despite all the hype, some would say that they failed to get past the starting gate and now look to be changing stables. Perhaps the market is more mature now and willing to back the outsider? The challenge for Kobo is not the size of their repository, nor the cuteness of their reader, but the effectiveness of their rider. Will WHSmith break the mould and actually make a great sale job of promoting it and getting it in the consumer space, or will they expect it to earn its keep and shift itself. It’s one thing to put it on a shelf, it’s often another to sell it. Price and colours aren’t Kobo’s unique selling points. If Kobo are to succeed with this franchise model, where others such as Sony have failed, then they have to get their franchisees set up to promote, shout, spend serious money and sell, sell, sell. Amazon has been promoting the brand Kindle everywhere, Apple have a brand that sells itself, but is Kobo up to the job and what is its USP (unique selling point)? Back in the early internet bookshop days I was asked who would win; Barnes and Noble, Amazon or Bol.com. My answer was quick and based on one simple piece of logic. Pick any 100 people on; Oxford Street, London, 5th Avenue, New York, Main Street, Frankfurt and ask them the same question, ‘Have you heard of Amazon, Barnes and Noble or Bol.com and do you know what they sell?’ I could predict the answers then and unfortunately today is not much different. So as we return to today’s race we have the favourite Amazon Kindle, followed by Barnes and Noble in the US, Apple and then a pack of outsiders lead by Kobo. There is a dark horse in the shape of Google but for all its hype it is still hanging around in the stables. Fancy an Ice Cream Sandwich? As Google unveils its latest edible operating system upgrade, Ice Cream Sandwich, we consider what this means to the consumer on the street? What is clear is that the mobile battle has Apple squaring up the Andriod and it landscape will be very familiar to those who remember the early PC days when Mac squared up to Microsoft. Then the battle was really decided by the weight of manufacturers who sided with Microsoft and today one can see a similar pattern emerging. Android handsets account for close to 50% smartphones shipped to retailers in August, compared to 19% for Apple devices and are being supplied by manufacturers such as HTC, LG, Motorola, Samsung and Sony Ericsson. The new Amazon Fire will also work on a Android platform. Ice Cream Sandwich or Android 4.0 was launched in partnership with Samsung and their Galaxy Nexus handset and a new Droid smartphone from their acquisition Motorola, the Droid RAZR. Meanwhile Samsung separately battle it out in the courts over copyright infringement accusations and counter-claims. The ability for the system to recognise the owner’s and unlock the system. This obviously is far superior security than a code and unless taken by your twin makes theft a bit difficult. Mind you I you can’t have a serious haircut or apply loads of make-up girls! The ability 4.0 users to use Android Beam feature to swap web content or links to apps by ‘kissing’ or simply touching their phones together. A cool new panoramic camera mode enables you to stitch together multiple snapshots to create a larger scene and includes a slider to help you align your multiple shots. Google have also changed how you browse your contacts with a new People app, which combines high-resolution photos and updates from Google+ and other social services. This tighter integration between the device and O/S could make for some very interesting developments. • Devices have no physical buttons but equivalent on-screen icons. • Apps and shortcuts can be grouped by dragging icons onto each other. • Redesigned of the multi-tasking screen. So what will the next upgrade be called? We have had Cupcake, Donut, Eclair, Froyo and Gingerbread so why not Jammy Dogger? Remember those great vinyl album covers of yesterday? We have a lot to thank the recently departed Alex Steinweiss for in inventing the cover art form and to others such as Roger Dean for giving us artwork to equal and that was reflective of Yes’s music. Steinweiss not only created the art form, but in doing so had a demonstrable impact on sales. Ask any Beatle’s fan which is simpler, to name the tracks on any albums or describe the cover. Vinyl shrunk to CD and the jacket artwork started to become less important and metadata took over. As the album model migrated to tracks, the jacket became somewhat irrelevant and the track could now be sampled in a click without even the taster of the jacket. Think about your favourite novel and what will come to your mind is not so much the words, the characters, but the jacket. Yes, a picture tells a thousand words and book covers have always sold books and enticed readers to buy. The image is that single snapshot that is designed to reflect the content. For the older generation this clearly also works for vinyl albums. When we still have the physical cover artwork and typography we have the imagery, but will that be the case forever? How do we market and promote ebooks in a way that embeds the image and its association into the reader’s mind? When you read an ebook the jacket is often lost. You may see it on the selection shelf, but on a click you open the book at page one and the text. They often don’t make it easy to see the cover. After all it’s the text you bought and want. If you return to your elibrary, it is often just a list of titles you see and in one click you are taken to the text. The magic of the graphically designed cover is often lost and it’s not as if you are reminded every time you pick up the book. As for the greyscale readers the image can change all together. All this is understandable and is part of the digital change process but what is the impact? Another interesting cover point relates often to print on demand titles. Today the print on demand rendition often borrows the physical jacket, but where it is a reissue this may not possible and there may also be rights issues. We may find a cover with straight text, not typographically designed and sitting on a coloured background. This standardisation of the jacket may work for academic monographs and education texts, but surely not for fiction. So as move into a digital library world how do we get that imagery association? Is it important, or is it like the album cover a fond memory of how it used to be? Do we need artists and designers and if so how should their skills be channelled? It is interesting that if I remember the last two ebooks I read I can’t remember the jacket, nor do I have an image of the book. I do remember the story, the characters but it’s not as clean as the last two physical books I read or even the books I read last year. Perhaps I am getting old and too fond of yesterday? There are many lost and lonely manuscripts looking for a friend. Like finding a partner some are fortunate to have a good active social circle to help them, but increasingly many are now turning to the internet and the dating agencies. Imagine what Jane Austen would write about today’s ‘good man’ looking for a ‘good wife’ over the internet? So, if we are increasingly turning to dating agencies to find our partners why not a section ‘Books seeking a good reader’? Serial Thriller seeks Readers:London, swinging 60s, the scene of music, murder and the macabre. The Rippers' groupies got more than they bargained for backstage. Will the bandever get out of the groove? Last week we wrote about the gatekeepers within the industry that control the flow of works being published and how some appear to remain firmly fixed in the old world of print, ‘ The Suppression of Writing‘. We are pleased that we are now starting to see others who are seeing new ways to match the mountain of manuscripts through new innovative ways in order to review, auction and promote them and ultimately help them find a partner. Inkubate is one of these new online services that enables authors to upload full manuscripts, excerpts, out-of-print works for review and possible acquisition by agents or publishers. The model is free to authors while publishers and agents have pay a subscription fee for access material. Everything is fully tracked and audited searchable and filtered. Users can categorise material, receive alerts on new submissions, authors, genres. One could say it’s a super dating agency. This site is not about reviews but is firmly based at creating a trading marketplace which could lead to future wedlock. Although the site is still in beta, it already has 350 authors on board, offering some 400 works for a date and some publishers and agents are reportedly eying up the candy. The full launch is still about a year away and the model is to be further enhanced by incentives to raise the profile of works and tier the access of publishers and agents. PUBSLUSH Press is also encouraging authors to submit their book ideas and even creating competitions offering those chosen to win an iPad 2 and a chance to be published. To win writers simply submit the best ten pages and a summary of their manuscript at www.pubslush.com, through October 15th. PUBSLUSH Press use a social network approach that aims to connect authors directly with readers. They have an unfortunate name for their registered users , calling them ‘Slushers’ . These so called Slushers, review and share their favourite works and when a certain level of clear interest is indentified against an individual submission, PUBSLUSH then takes over and provide a comprehensive publishing process; editing, design, marketing, distribution, etc. PUBSLUSH can also acts as an agent, allowing editors at major publishers to easily browse the top submissions and extend deals to authors. The term ‘slushpile’ is a derogatory and a rather supercilious and ‘holier than thou’ way the industry describes the mountain of unsolicited manuscripts they often dismiss as not worthy or are incapable of digesting. 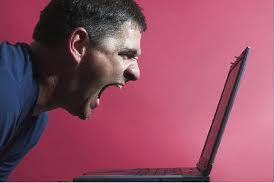 However the internet and technology changes all and itself encourages all to express themselves and to create. As we have said before we are moving from listeners and readers to creators and we are no longer restricted to the physical work. The democratisation of writing is a given and not all will be well written, or even read, but connecting writing to reading should be the first goal and these new dating agencies and others, maybe will help free us from yesterday’s gatekeepers. Imagine one publisher offering some 100,000 ebook titles and those went back to the 1840s and including authors such as Albert Einstein, Sir John Eccles, Lise Meitner, Werner Siemens, and Rudolf Diesel. Imagine the exercise required to clear all the rights and agree royalties on this volume of titles. Springer have announced a programme to digitization their complete backlist by the end of 2012 and create Springer Book Archives (SBA). The SBA initiative will include nearly all books that have been published since the 1840s and the archives themselves will contain around 65,000 titles. Some 70% of the books are in English, with the rest mainly being in German with some Dutch and the ratio between scientific STM titles and professional literature is similar. The archive titles from 17 different imprints, including and medical books account for the largest share with over 20% of the archive. If Springer can take this bold step will others follow and take control of their assets and be less reliant on others scanning them? An Indian Tablet for $35! What impact would a $35 colour tablet have on the consumer, education and business? Yes we did say $35 or £23! That sort of price would turn OLPC on its head and make cloud computing a given? It certainly raises some interesting questions about the cost of other tablets. The Aakash (Sky) is a tablet designed and manufactured in India under a government subsidy aimed at the Indian education market and is to be also distributed to India’s small towns and villages. A potentially true OLPC strategy! 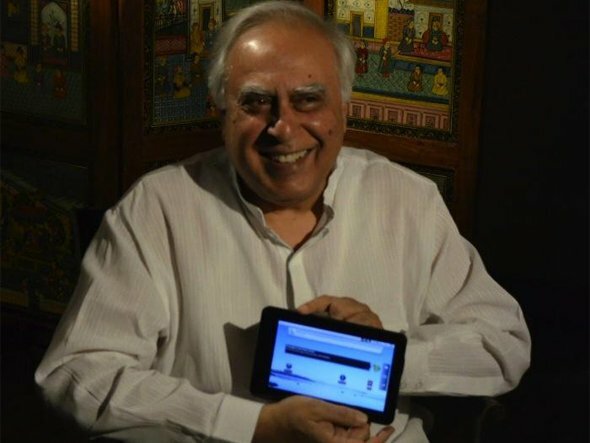 They even have plans to sell the tablet internationally under the name UbiSlate and at a price of $60.Indian Human Resource Development Minister, Kapil Sibal, launched the tablet, handing out 500 units to students and announcing that they now plan to buy 100,000 of the tablets and that they hope to distribute 10 million units to students over the next few years! The Aakash has been developed by UK DataWind and Indian Institute of Technology (Rajasthan) and is to be produced at DataWind's new production centre in Hyderabad. Even before it has been evaluated many experts are doubting its speed, performance and touch screen capability. Some say that they have heard it all before, when in 2009, the same ministry announced the ‘Sakshat’, which failed to deliver. However, it is clear that governments realise the potential and even if the Aakash doesn’t deliver it is only a matter of time before this vision does happen. 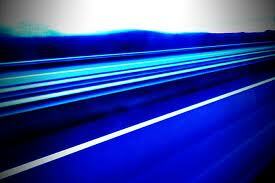 BT is set to launch a fibre optic service that is capable of delivering up to 300Mbps (megabits per second). It may sound like a case for UK trading standards but it isn’t for everyone and will only be able to reach some UK homes by 2nd quarter next year but other are now being promised up to 80Mbps. BT is to begin trialing the super-fast Fibre-to-the-Premises (FTTP) technology later this month but estimates that only a quarter of the fibre network will benefit. However its Fibre-to-the-Cabinet technology (FTTC), which uses copper wire to connect the street cabinet to users' homes and currently delivers up to 40Mbps is to double to around 80Mbps next year. BT's Infinity FTTC service has however only around 200,000 users (including ourselves) so although demand exists it’s more of laying the network for tomorrow when users and media usage will demand faster speeds. Currently Lithuania leads the European FTTP ranking with 26.6% of households subscribing to the technology, followed by Norway, Sweden, Slovenia, Russia, Slovakia, Latvia, Bulgaria, Estonia and Denmark. Staggeringly each of the top ten FTTP nations has a penetration rate of at least 6%. Alternatives to BT in the UK are restricted by the its resistance and charges to open up its ducts and overhead poles to rivals, but if this were to be addressed there are some big players such as Fujitsu who want to move in with speed to fill the gap. Just think 10 years ago we had a dirt track and tomorrow we will be ditching the super highway for a supersonic highway and with changing how we consume media and communicate. When Apple first launched its iPad2 it sold 2.5 million units in its first month and set the bar very high for all that would follow. Today a leaked sales report on the tech site Cult of Android claims that Amazon’s new Kindle Fire has currently raked up 250K of pre orders in its first week and if that level of demand is maintained it could reach 2.5 million of pre orders alone before it goes on sale on November 15th. Irrespective of whether the level of demand is sustained it clearly is going to be the US gift for Christmas this year and a serious Apple contender. 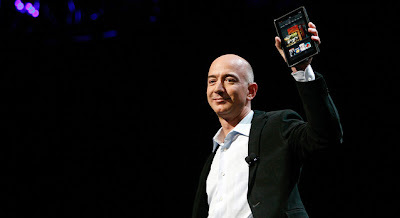 Bezos has obviously pitched the price perfect and also has stuck to his ‘keep it simple and focused mantra’ that has enabled Kindle to become a clear contender in the emerging media player market. It begs the question what the others will have to do to compete as Apple captures the high ticket, design icon end of the market and Amazon the low end no frills media integrated end. It also begs the question as to how some of the other ereader players will survive not just in competing with these must have devices but also with the impact of their different but closed media and platform offers? What is perceived as an open market for ebooks could quickly change if there are two players who dominate it and this is turn may force players to look at the obvious streaming opportunities and away from downloads as we know them today. There used to be a category of retail for books at UK Companies House. There is however one for, newspapers, stationary, magazine and other, but no longer books. 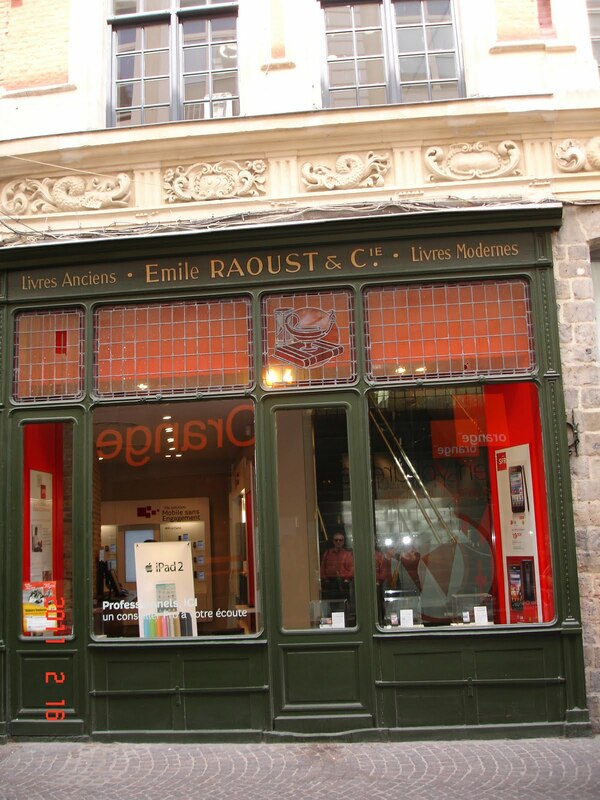 We also read that the UK’s Bookseller Association claim today that some 25% of independent bookshops have gone out of business in the last 5 years and we find ourselves reminded about the sign over the door of that old bookstore of Emile Raoust & Co. in Lillie that now sells mobiles. The spread of ‘white label’ and catalogue internet offers, where everyone has everything, only the brand label and template changes and the seller is actually someone else. The breakdown in the difference between bargain and full price titles, where all to often even the best sellers are skimmed or offered to other channels before the ink has dried. When we first stepped into the book publishing marketplace, we found it crowed, overly complex and some would suggest very adversarial compared to other markets. There was not so much a blame culture, as much as a lack of communication and understanding of others. It was as if everyone thought the other’s job was simple and the book world revolved around them. Even today, some fail to realise that there are only two people that matter, the creator/author and the consumer, and that everyone else has to earn their place in between by adding real value. Today we now have publishers becoming retailers, retailers becoming publishers, agents becoming publishers, authors doing it themselves, wholesalers and aggregators borrowing brands to sell through white label stores and libraries being scanned. Bookselling is about what it says on the tin – selling books. Bookselling is not easy nor is it about being a super franchise shop for publishers of new books, it’s about selling books; new, old, used, remaindered, back list, specialist whatever. Despite what Companies House may think book retailing will survive but will be different and will continue to be heavily impacted by others and its own actions. There is no divine right to bookselling and we must ask if today’s news is really surprising, or whether it’s only alarming in that it didn’t happened sooner. Perhaps Companies House spotted something before the trade. 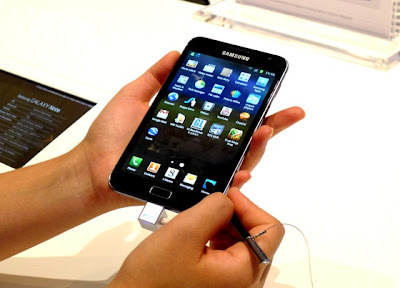 Korean giant, Samsung has many supporters of its leading edge technology and its smartphones today are second only to Apple in terms of sales. Samsung's net profit last year was over five times the combined earnings of Japanese rivals Panasonic, Sharp, Toshiba, Hitachi and Sony. Its total sales in 2010 of $136.6bn (£83.5bn) made it the world's biggest technology company by sales, but its market capitalisation is but a third of Apple. Samsung are still one to watch and therefore their new Galaxy Note is worth some attention. On 17 November Samsung’s Galaxy Note hybrid will hit the UK’s streets but the question is whether it’s a smartphone or a mini tablet or just something to be admired? It has a 5.3in HD Super AMOLED display with 800x1280 resolution, which makes it the smallest tablet and the largest smartphone. It has a 1.4GHz dual-core processor, runs Android 2.3 Gingerbread and also has an 8MP camera, a 2MP front facing webcam and even a 'Smart Pen' stylus for control and on-screen scribbling. The basic 16GB of storage can be expanded via the microSD card slot and it weighs in at 178g and is 9.65mm thick. For Android lovers this may be the new leader of the pack. Samsung has also made an offer to settle the dispute between the two firms which has reduced from the original 13 separate patents to only three. Samsung and Apple currently face each other in courts in the US, Germany and the Netherlands. One of Mike Shatzkin’s insights that he gave in his article on, ‘ Four Years Into The eBook Revolution’ has stirred much debate and is worth exploring. Shatzkin commented, "Today I will add another urgent suggestion to general trade publishers: reconsider your commitments to publish illustrated books in any time frame more extended than a year or two and think about sticking to straight text, unless you have paths to the customers for those books that do not go through bookstores. If we do end up in an 80% ebook world anytime soon, and we very well might, you'll want to own the content you know works (for the consumer) in that format, not what you don't know works any way other than in print." 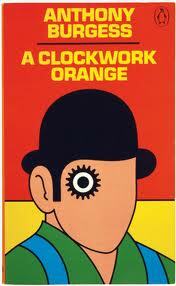 As we all know there are many forms of illustrated books and it is often hard to generalise. Some heavily illustrated works and genre are making the transition into the digital world whilst others remain in physical one. We see travel and reference as genre that could be enhanced by digital and where much activity is taking place. However, one has to question whether the digital result will be a mere conversion of the physical, a replacement offer, or a complimentary one with additional options. It would appear wasteful to merely take the physical travel book and merely produce a digital manifestation when the digital could be enhanced so much by technology. A real time map, instant reviews, what on today, video clips etc. But as works migrate from one dimensional flat print to multi dimensional live works then the whole process of creation, editing and production must change too. Some may be ready to make that change but others may be reminded of the heady CDRom days were logic and financial return went out the window in search of the technology dream. Many have learnt and are rightly cautiously optimistic in their approach. The situation becomes very interesting when one looks at Art books. There are several art book forms from the package prints of the likes of Paragon, Parkstone, the high end niche collection editions of Taschen, Rizzoli and others, to the gallery and exibhition editions. 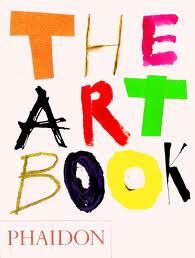 An art book is often a collection piece, a book that is browsed and returned to many times. It readers often seek quality of paper and print and are less interested in the individual works than the collection. If art lovers wanted the digital then they would even want the exhibition they would be happy to see images rendered digitally onto walls. We watched Degas quality softbacks literally walking off the RSA floor last week. It was probably the closest to buying the tee shirt at the end of a concert. We don’t believe that everything must go digital, nor that everything is better digital and Shatzkin is correct in his insight that illustrated books are not ideal for digital today. Even before we grapple with the thorny issue of rights within an illustrated book world we have to ask whether we really believe that those sumptuous quality works from the likes of Rizzoli, Taschen, Thames & Hudson, Phaidon, David and Charles, Frances Lincon and National Galleries and Museums will be replaced by and rendered better on a 10” iPad?